“What we’re doing with retail therapy is we’re desperately trying to regulate our emotions. We don’t like distressing or uncomfortable emotions. So we’ll do short-lived things that make us feel good in the moment” … Joanne Corrigan – Psychologist. 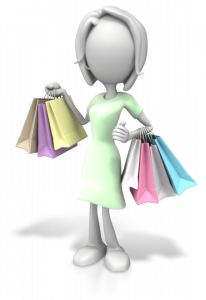 Retail therapy … is it really therapy or is it as Joanne suggests above a “quick fix” for when we are feeling down and need a quick boost or lift? I mean, who doesn’t love a new pair of shoes or a new handbag, or the latest perfume, right? And most of the time when you buy something new, you do feel good, great even. You can imagine how awesome you will look in your outfit with your new shoes or new handbag and the compliments you will get. BUT it is short-lived, because at some point, the indulgence is going to cost you, especially if it something you haven’t budgeted for and it’s a spur of the moment splurge. Once you realised you have overspent, then the depression sets in and so it becomes a vicious circle, of feeling down and depressed, indulging in some retail therapy, feeling good immediately after the purchase, but some time later feeling down once more when you realised you have overspent, yet AGAIN. If you have clothes or shoes in your cupboard that you have never worn or items in your house that you have never used (we all are guilty of this, although some more than others … just think of the TV show “Hoarders”), then it is time to rethink your retail therapy. Although retail therapy might work in the short term, it can never cure what’s driving us to shop in the first place, it just temporarily numbs the pain. So … is there a way of achieving a balance? I have come up with a few tips on how to make the best use of retail therapy without blowing your budget every time you feel down. Always have a monthly budget. (Very Important!) and not just in your head. Write all your expenses down. Every month so you can see exactly where your money is going and then stick to it. When you feel down, instead of going out and just aimlessly buying, how about window shopping instead? You can look, wish for it, but just don’t buy it. The same goes for shopping online – the wish list is there for a reason. Use it. Look for alternative things to do when feeling down – phone or talk to a friend, get outside into the fresh air for some exercise, take your dog (or a friend or neighbour’s dog) for a walk, read a book or magazine. The options are endless and sometimes making someone else happy, ends up making you feel happy too. That’s a win/win situation. Take time to laugh. Laughter IS the best medicine. Life is short, yes, but if buying the shoes means you have to live off bread and water for the rest of the month, then the answer is No. Don’t buy the shoes! So, what is the real truth about Retail Therapy? It is necessary in our lives, we all need it, but the key is not to let it rule our lives and take over our lives, by buying stuff we don’t really need, but want in an effort to make us feel (temporarily) good about ourselves and our lives. What we need to remember with retail therapy, like most things in life, is Moderation. Find a balance. Find an alternative to shopping/buying when feeling down or depressed. To view notes with screenshots on how to use our website, please visit Leads 2 Business Wiki. To view more Events, please visit our Leads 2 Business Blog. Many years ago, my uncle had a general trading store in a little town called Komga in the Eastern Cape, South Africa. He was building his store up from scratch and had many items for sale. One particular item, a box of pens, had been sitting on the shelf, not selling and were priced at 99c each. He made a sign, wrote the word “Special – R 1.00 each”, put the box on the counter and all the pens were sold within a week. My uncle’s strategy was visual (no mobiles and social media invented yet) but today’s retailers have many more options at their disposal. 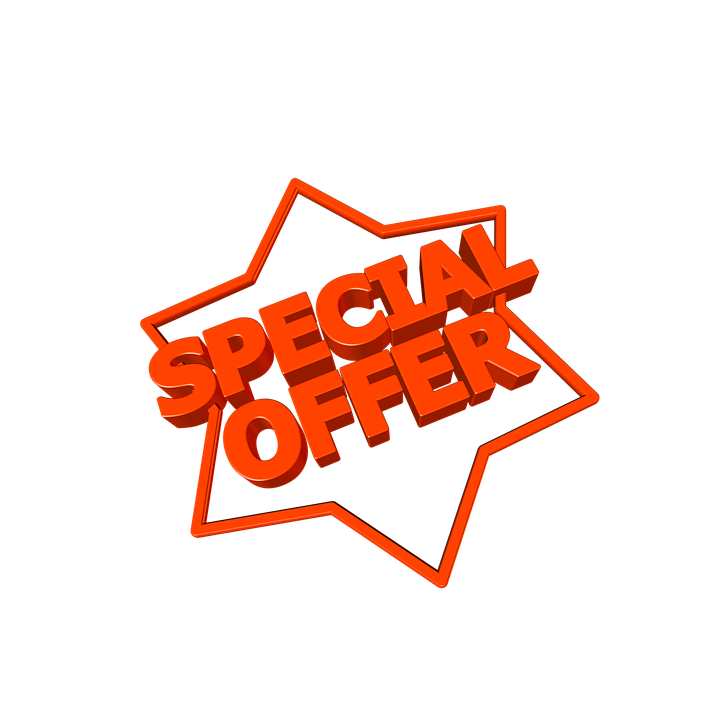 Many people are bargain hunters and the words “special” or “sale” are like homing beacons, calling us, tantalizing and convincing enough that sometimes, even if we don’t really need the item, we buy it cause we are getting it on “special”! Retailers need to ensure that their STOREFRONTS are relevant and enticing, when it is a sweltering 40 degrees outside, gorgeous fur coats draped over the mannequins with lace up boots and scarfs will not set the right tone. INCENTIVES TO RETURN and a LOYALTY PROGRAM, this marketing strategy is widely used and is very successful. If I am faced with two shops, side by side, selling the same merchandise but one is offering me an incentive to enter, boy oh boy, that is the one I am going to choose, I mean, who does not want a free coffee while I browse through wonderful stuff that I don’t really need? And if buying something results in a “kickback” to me (loyalty points etc) that’s the way I am gonna go. SOCIAL MEDIA is a powerful tool utilised in retailer’s marketing strategies, promoting their in-store goods on line and even better when there is a limit to the special e.g. buy 2 leggings for R50, Special ends Monday. Goodness, best I get there right now, good price and it ends soon and I don’t want to miss out! Advertising on FACEBOOK, INSTAGRAM and pinning your goods to a PINTEREST board is always a good idea. REVIEWS! Personally I like to check reviews and they most certainly have an influence as to whether I wish to patronise that retailer or not. BRANDS, lets face it, a lot of people are brand conscious and a brand name beats a no-name brand any day! Retailers have a multitude of options at their fingertips and in order to succeed they need to stay one step ahead of their competitors. 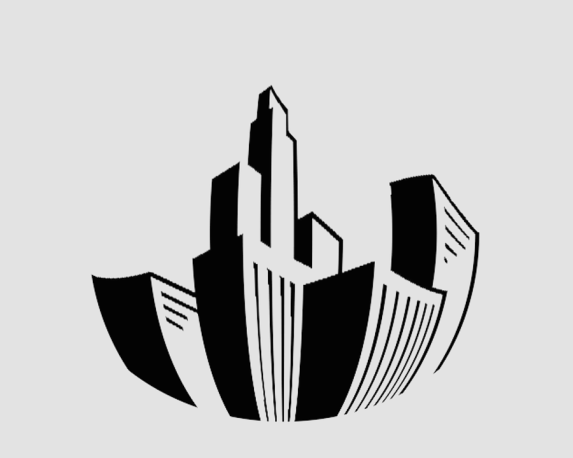 Leads 2 Business takes great pride in producing relevant, comprehensive and updated information in the Construction Industry by publishing new tenders and projects on a daily basis. Our up-to-date, user friendly website is a breeze to operate and will save you time when looking to increase your order book. Do not miss out on this opportunity! For further information on our services please contact me on DebbieW@L2B.co.za , I look forward to hearing from you! Juggling a energetic, full of surprises life, working full time with two teenagers and hoping to still be sane and normal by the time I retire. When one thinks of a mall certain things initially spring to mind. When I think of a mall, it just reminds me of working there. Not knowing what the weather outside is doing, I think they need to build more malls with open-air garden courts or glass roofs. But a Mall all depends on whose mind it is, Clothing stores, grocery stores, appliance stores, movies, restaurants, coffee shops, international chain stores. According to Dictionary.com; “A Mall also called a shopping mall is a large retail complex containing a variety of stores and often restaurants and other business establishments housed in a series of connected or adjacent buildings or in a single large building”. That is the perspective of the general public. But shall we take another point of view? Today’s malls are not only about what you can get inside but what the surroundings look like. Some of the worlds top architectural firms and designers use eye-catching materials to enhance the retail experience along with art installations and landscaped enhancing gardens. Nowadays a mall may not be just a mall. The Mall of Africa, for example, is one of the largest, to be built in a single phase in Southern Africa. The 131 000 m² mall was announced as the winner of the Engineering Excellence Award. The Mall of Africa, is part of a mixed-use development which includes offices, residential, retail, a logistics hub, schools, hotels, a hospital, parks, restaurants, entertainment and more. So not just a shopping centre. The Mall drew inspiration from Africa’s geological beauty, a ‘column-free’ mall design, wide passages, high shopfronts, an undulating roof feature in the middle. 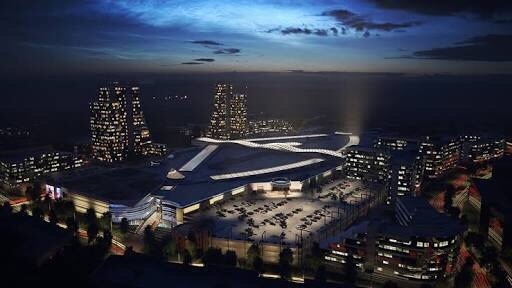 Atterbury Property Group says “The Mall of Africa combines the latest international trends, environmentally sustainable materials and technologies. It is designed around new urbanism principles of walkable, mixed-use environments to create a truly cutting-edge shopping experience”. As you are all aware we have an extensive directory that lists anyone from Painters to Civil Engineers and anyone in between, in other words – anyone that you will ever need in the construction, civil and mining industry…you’re welcome! In amongst this vast array of professionals, vendors and contractors you get our Buyers. Our Buyers are subscribed to our Leads 2 Quotes (L2Q) platform, aka The Pricing Platform. They use our directory to price their tender documents by sending out Request for Quotes (RfQ’s) and in turn, get to know and appoint sub-contractors for those specific contracts if and when they are awarded the contract. On our directory, we also have our vendors who are active to receive the above referred to Request for Quotes (RfQ’s). You can be a non-paying Vendor or a paying Vendor (referred to as our Open Quotes Subscribers), both Vendor and Open Quotes subscribers will receive RfQ’s and will be able to price or decline online and view specifications or drawings should the contractor upload these. The major benefit of being subscribed to Open Quotes is – that you will receive all award information for all Request for Quotes received! 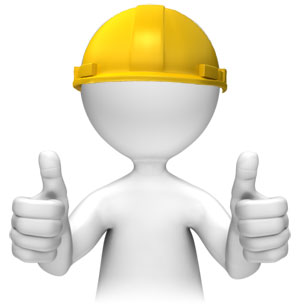 This gives you the opportunity to send your prices to the awarded contractor too! You will also be able to ensure that your directory entry is up to date to ensure that you receive the relevant Request for Quotes as well as ensuring that if anyone wanted to contact you that they could successfully. So after some background information let’s move onto the tips on how you can improve your ranking on our directory. This just means that the better your company scores the higher it will rank in position on the list of companies (vendors or suppliers) our buyers see when they want to send out Request for Quotes (RfQ’s). When you receive an RFQ from a contractor please price it online or send it back via email and “reply all” on the email so we can get a copy and make sure that the positive response is entered into our system (the buyer can see this too). The more contact you make with the buyers, whether it be sending through your prices or sending them your company profile or specials you may be running the more your company name will come up and you are more likely to be remembered and this could lead to your company becoming a preferred supplier/vendor of theirs and ultimately end up with your company ranking higher. If you have any questions or would be interested in subscribing or updating your details, please send us an email on Directory@L2B.co.za and I will be happy to assist you. I joined Leads 2 Business in November 2011. I started in the Daily Tenders department and later moved to the Directory Department in May 2014. As the main contractor, your daily schedule involves plenty of organizing, planning, and meticulous work. In a busy world with a busy schedule, it is very easy to lose track of time and lose your objective for the day, even if it is just slight details or information that you need to obtain. When you tender on a project (or a few), the stressful work can get a bit much, but never fear, as Leads 2 Business is here with a solution. By using our L2Q Pricing Platform, life has become a little simpler in obtaining prices from various Vendors in just a few clicks. Once a Bill of Quantities has been added onto your pricing platform profile, you can send Request for Quotes (RFQ’s) to various vendors to obtain prices for specific trades that you require. Our dedicated Control List team will meticulously follow up on these RFQ’s to assist in obtaining the necessary responses. Provide vendors with drawings and/or specifications of the project. Should a vendor contact you with regards to the quotation, assist as much as you are able to at the time. Confirm that you are sending the RFQ to the correct vendor i.e read the description of the company, which will give you the necessary insight on their scope of works. 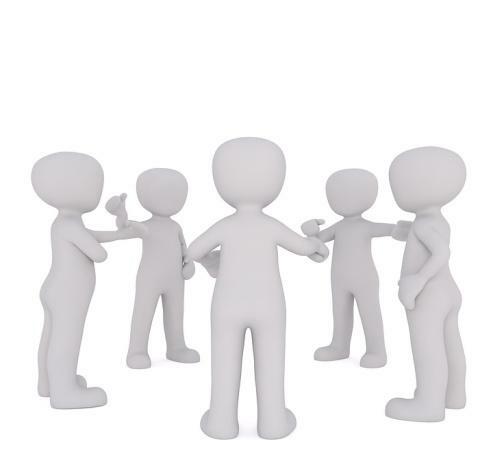 Keep an open line of communication, as good communication will assist with dealing with the same vendor in the future. For example; if the tender has been awarded, notify the vendor if you have been awarded the tender or not. This will let the vendor know that he/she is not pricing in vain. Give the vendors sufficient time to respond to the RFQ (at least 5 – 7 days). Hopefully, using these few tips, it will assist in an even smoother process to obtain your responses from various vendors, without being bombarded by unnecessary responses that you don’t need. Feel free to give us a call if you require more information about our Leads 2 Quotes package on +27(0)860 836 337. I must be honest…when I first started working at Leads 2 Business, the department that “freaked me out” the most was by far L2Q. I knew the only way I would overcome my fear was to get myself into L2Q and learn as much as I possibly could. And here I am. So firstly, what does L2Q stand for? Leads 2 Quotes (L2Q) is an electronic pricing platform used by buyers to send out requests for quotes to their preferred suppliers. We upload any drawings that you may have. The bill of quantities can either be attached on the request or the contractors can send it to us directly via e-mail. From there, we will convert it, make it “pretty”, code it into the correct trades and upload it onto the buyer’s L2Q Desktop, for you to begin the process of electrically requesting quotes. This process does take some time, our turn-around times are as follows: Excel bills is a minimum of 24 hours and PDF a minimum of 48 hours. 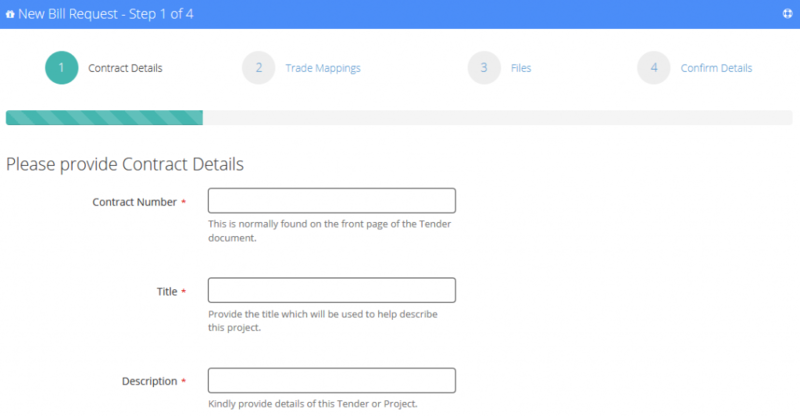 We then also have Trade Mapping available which is where we will code the trades according to your company’s needs. You will have the option of selecting your preferred suppliers/vendors. You can earmark the businesses that have given you the best response, service and pricing. Our pricing platform will also start recognising the vendors on our system who have given you the best response to the requests for quotes. 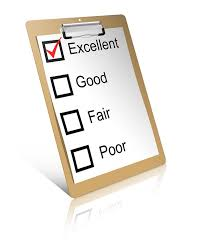 So should you not have dealt with a company before, their rating will give you a guideline on their response rate. You can then generate a Control List report which will show you the vendors you have sent to as well as your engagement with them, how they are responding to you as well as the follow ups done by our Control List team. We understand the time constraints and therefore our directory of over 90 000 companies is expanding and updated on a daily basis which then gives you even more options to your business and ultimately more competitive pricing when submitting a tender. The e-mails that are sent to the vendors through the L2Q system include your company branding, drawings, addendums, terms & conditions and specifications which bring clarity to the vendors when responding. I started working at Leads 2 Business in May 2013 in the Africa Tenders Department. I worked my way to the Leads 2 Quotes Department in September 2016 and have been there ever since. In the world of construction, we often hear the word “tender” being used more often than ever…”Who was that tender awarded too?”, “X & Y have just put out a tender for the building of A”, “I wonder which company got awarded that tender?”…the big question then becomes, what is a Tender? A tender is a process where an offer is put out to do work or supply a service/goods at a fixed price. Usually given by government and financial institutions they invite bids for large projects and have to be submitted in a finite deadline. Ensure that you are registered on the supplier database – find a sector that works for your line of business and register to be informed of the tenders that would be published. Attend the briefing sessions so you would know what’s expected for the project. Have the correct documents – it’s standard to have the correct documents as a company. Have a valid and current tax clearance and BEE certificate. Have a good banking record, credit history and relationship with your clients and suppliers. You must have the cash flow and necessary resources to bid for the tender. Price in a competitive manner with proof – avoid pricing extremely low, get the pricing just correct. Source out partnership – completing a project without assistance is always a bonus but it always helps to get assistance if needed. Keep note of the of the closing date and submit before that time. Never give up – the tendering world isn’t easy at all but just because you didn’t get the first doesn’t mean the ones to follow won’t be a success. Do remember that tenders are a lengthy process which may take a while before they are awarded, this doesn’t mean you should just bid for one and sit back waiting for the work..put in the effort and do as much research as you can in order to create a tender that will get you the results you desire. It’s not so much that it is a difficult task but it needs you to be specific and pay close attention to the finer detail. I see all sorts crossing my desk, when it comes to researching and sourcing tender notices. I see not only the various notifications companies and organisations put out alerting the public to the scams out there, but I also get sent quite a few scams myself. This has inadvertently created a new skill set. And that is, inhouse dodgy tender notice identifier. Fraudulent tenders and scams involving tenders is not new. It tends to take on various incarnations, and, unfortunately, tends to get more inventive as time goes on. There’s a bizarre combination of old tricks and new tricks. So this misuse of imagination keeps everyone on their toes. It takes learning on the job to a new level. Scams are not limited to any one type of service or product. It can be anything from supplying wheelie bins to building RDP houses. It doesn’t matter what the service or product is, because it’s just used as bait to lure unsuspecting suppliers and contractors to fall for the scam. Any procurement process is competitive. And companies have to work hard to take advantage of all the opportunities that come their way. Fraudsters tend to prey on this eagerness, and in some cases desperation. They use a company’s naivity to their advantage as well as greed (to be blatantly honest). Heightened emotions, of any kind, put someone at risk of making a risking decision. Money is the focus for scammers. They are trying to get as much as they can as quickly as they can as often as they can. So a red flag is any tender deposit that is exorbitantly high. A registration fee of any kind, needs to be questioned. Has a tender notice or request for quotation shown up unannounced? Unsolicited quotations are very common. There are all manner of electronic procurement systems out there allowing buyers to send RFQs to vendors legitimately. But if you do not recognise the format or who the RFQ has come from, always double check. The way to double check, is to not call any numbers listed directly on the quotation. Look up the switchboard numbers of the organisation and call them directly and this will allow you to get confirmation of the legitimacy or the fraudulent nature of the tender notice/ quotation. These fraudulent quotations/ tenders tend to also ask for very specific goods or products. Usually, where there’s only one company that can supply the item in question. Be wary of these types of quotations, as they channel you in the direction that the scammer wants you to go. Did you tender for the contract award that has suddenly shown up in your inbox or doorstep? No? Then it’s most likely a scam. You cannot be awarded a tender you did not submit a tender/ quote for. You will never be asked to pay, before being awarded a tender. Is the email address given, some bizarre derivative of an official organisation’s domain name? Then it’s a scam. Government Departments, Municipalities and legitimate private companies do not have various versions of their own domain names. There’s one official domain name and that’s it. This is a dead give away. Most of these fraudulent tenders/ quotations are variations of exactly the same advert but with varying dates and slightly different cell phone numbers listed. This repetition stands out. Companies are posting warnings of these scams; so a good Google search can quite quickly confirm whether the tender/ quotation is fake or not. It might be tedious; double checking and notifying the proper companies of these scams out there, but it helps tremendously in shutting these scammers out by spreading the word. How do we stay safe in a world where crime is always prevalent? Anyone and everyone is a target nowadays. Criminals devise new tactics daily. In most cases the main aim of criminals using the above types of scams is to obtain your personal information for financial gain. This is often achieved by impersonating companies (like SARS) and deceiving unsuspecting individuals. Do you know how to identify these crimes? How can you decrease your likelihood of falling prey to criminals and fraud? Having healthy scepticism and security protocols are key in staying safe from criminals. Lastly: If it’s too good to be true… it probably is. The above suggestions don’t guarantee your safety from criminal activity. Technology is ever evolving and opportunists are always developing new tactics. Be vigilant, stay informed of the latest trends and as they say “fore-warned is fore-armed”. Is your BBBEE Grading impacting your Business? What is the meaning of BBBEE? Broad-Based Black Economic Empowerment (BBBEE or B-BBEE as written by the South African government) is a form of economic empowerment initiated by the South African government in response to criticism against narrow-based empowerment instituted in the country during 2003/2004. It has been said that “B-BBEE legislation is the most significant piece of legislation affecting South African business today”. The Broad-based Black Economic Empowerment Act 53 of 2003 affects all business and individuals in South Africa. It is not only vital for the country’s integrated prosperity, but a catalyst for economic growth. It makes sense to ensure that your BEE rating is as high as possible. Government has taken small and medium-sized businesses in consideration with the development of BBBEE legislation. You have to be BBBEE compliant to be able to do business in South Africa. One of the 7 elements of the BBBEE scorecard is preferential procurement and supplier development. This is the element that carries the most weight (nearly 40%). If you procure from other entities that are BBBEE compliant your BBBEE score increases. One can see the trickledown effect from suppliers to government down to their suppliers. Once again the goal is to try and achieve a level 4 as this gives you 100% contribution towards preferential procurement. BBBEE makes it possible for the business to get access to contracts. BBBEE can result in the acquiring of new customers for the business. BBBEE can lead to new innovative ideas with the input of the empowering partner. BBBEE makes it possible for the business to invest in affordable skills development for employees. The challenge is to improve on your B-BBEE activities and score each year. If your annual turnover is between R 10 million and R 50 million you are defined as a Qualifying Small Enterprise (QSE). The Generic Scorecard includes all seven B-BBEE Elements, namely: Ownership, Management Control, Employment Equity, Skills Development, Preferential Procurement, Enterprise Development, Socio-Economic & Sector Specific Contributions. How is BEE Compliance Expressed and what Level is considered Compliant? QSE – Qualifying Small Enterprise – an enterprise with an annual turnover of between R10 million and R50 million. The QSE will need to fill in a scorecard but use slightly easier targets. Generic – all companies with a turnover above R50 million per annum. Your clients will know that you are doing whatever it takes to stay ahead in your business – that you mean business and that you are look to them to support your efforts. You will have a clear picture of what types of supplier you have. A rating would give you leverage to be able to negotiate better discounts, etc. Supplier analysis will assist with your procurement policy development. Your image will be enhanced by your demonstration of leadership in your industry – be perceived as in step with development initiatives. By focusing on HR development, enterprise development and BEE, you will demonstrate commitment towards the social, educational and economic developments in the community in which you operate. Attempt to increase your develop your employees’ skills and potential development as well as your BEE ratings enhance fair and progressive employment practices. 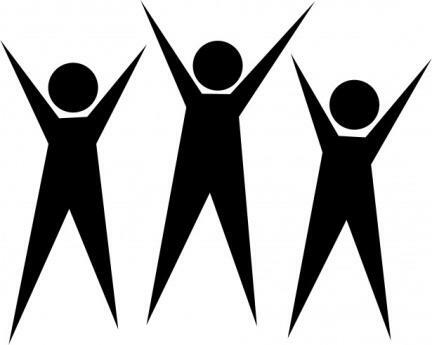 Your staff will see what you are doing, which will boost their morale. The sooner your business is rated, the sooner you will understand how to develop a BEE strategy to increase your annual BEE rating. 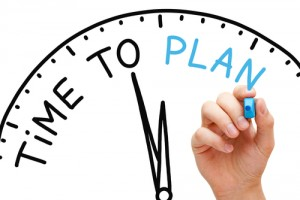 Your BEE strategy should form part of your company’s overall strategy plan. BEE can also be a marketing tool. As a client of BEE Empowered, your company’s name will be listed on our website’s BEE directory and will be available to all those searching for BEE-compliant suppliers. Don’t get left in the dark. 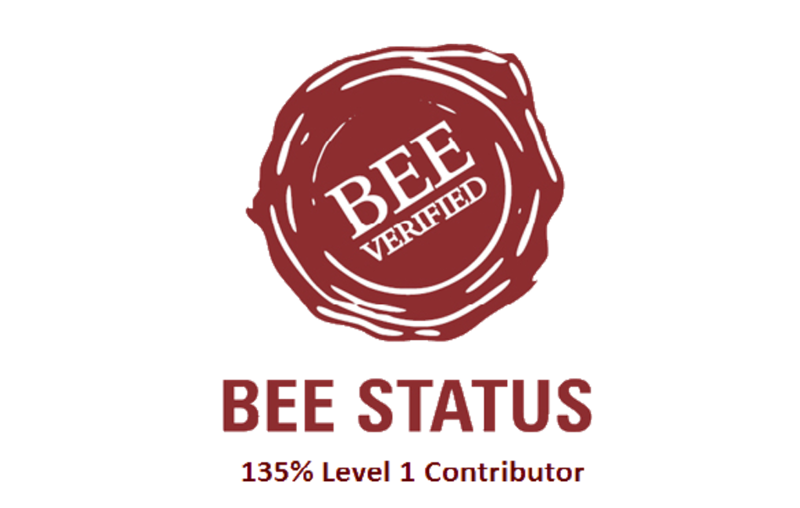 A level one contributor is the highest achievable status and the lowest level of BEE compliance is level eight. The higher the BEE status level, the stronger a company is in relation to its competition. I started at Leads 2 Business in January 2010 (7 Years ago). I am presently an L2Q Assistant. Started in the Daily Tenders Bills department and worked my way up to the L2Q department working the bills.